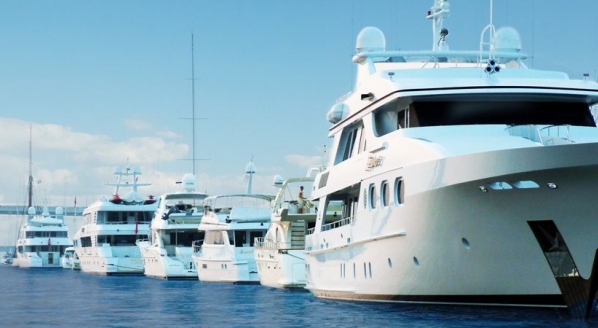 When Lauderdale Marine Center (LMC) obtained the first recreational marine foreign trade zone (FTZ) in the United States on 7 June 2017, it alleviated some of the pressure of the US yachting industry’s major bugbear – finally, foreign-flagged yachts could be exhibited and sold to US citizens while in US waters outside of a boat show. It is a major leap forward – and with 19 sites currently authorised for FTZ status but not active, it appears that these new transaction-facilitating zones might just be the “game-changer for commerce” that Gary Goldfarb, chief strategy officer for Interport Logistics, suggested they might be. Goldfarb used to own the Miami Free Zone and has activated 88 FTZs in South Florida in the past five years in a variety of non-marine industries. 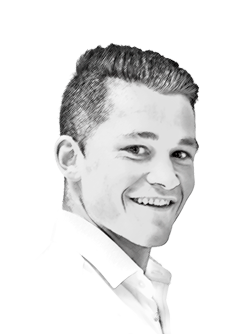 In issue 87 of The Crew Report, we speak to Goldfarb about the parameters of FTZs and how LMC came to be an authorised site with production authority status. “We started asking what products needed a FTZ and we kept going down the list and we had Lauderdale Marine Center on there, which kept asking, ‘Why not boats?’” Goldfarb explains. The issue was always that US Customs was worried about its lack of control and restriction of power, with yachts being floating assets. Vessels that wish to make use of the FTZ at LMC must pay a flat rate upon entry, as well as an additional small fee every time they enter or leave the facility. However, the administration cost pales in comparison to entering a superyacht show. 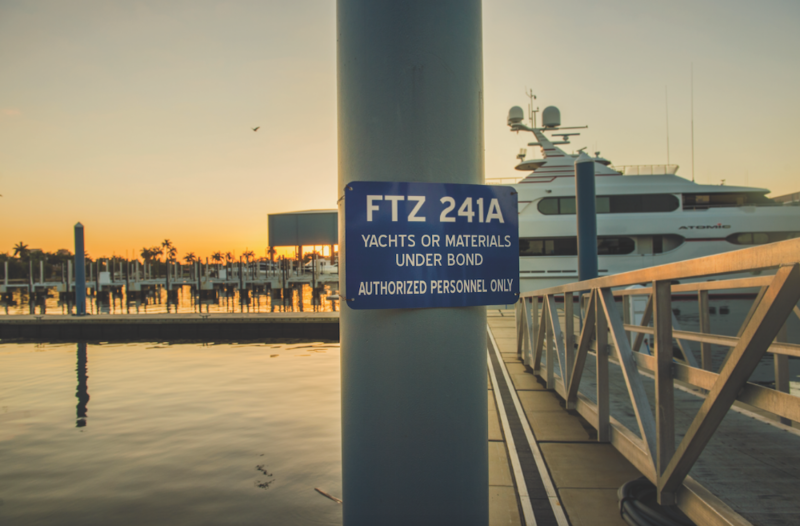 Once registered with the FTZ, vessels are free to leave to be exhibited for a maximum period of 120 days, although, Goldfarb stresses that this has to for exhibition – it cannot be for leisure or for charter as some are led to believe. 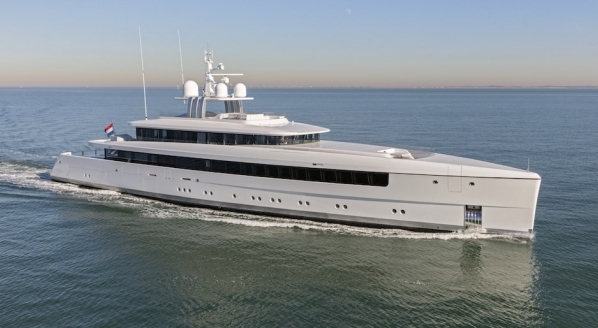 “A lot of yachts continue to be advertised for charter when they arrive at the facility with an FTZ arrival permit, only for [US] Customs to have a look online and see that the yacht is still being advertised for charter. There are rules and you have to stick by them if you are able to do everything you want to do and make use of the FTZ,” Goldfarb says. 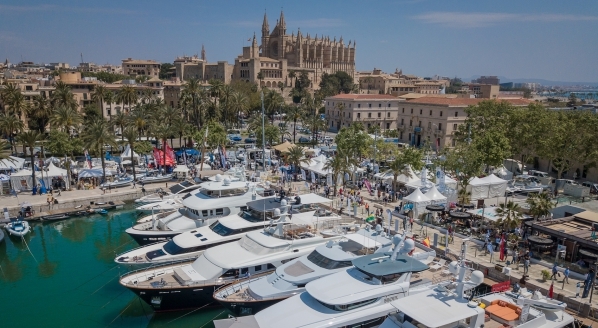 Recently, Goldfarb and LMC made the benefits of the zones even more significant: they went to the federal government with an extensive list of every component that could be put into a yacht and solicited ‘production authority’, which came into force on 11 May 2018 at LMC. 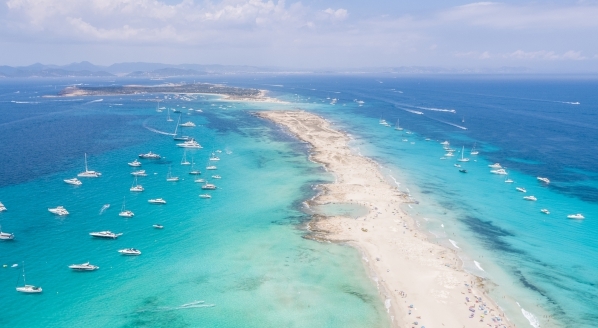 Production authority allows owners and contractors of foreign-flagged yachts entered into the FTZ to import parts into the zone without paying duty. A lot of the parts that are being imported are Chinese-made, meaning they would now be required to pay the 25 per cent import tax that U.S President Donald Trump recently (6 July 2018) imposed on a list of Chinese products, so the savings now with the production authority are significant. Furthermore, as these parts are entering into a territory that is not considered as being within a US jurisdiction, they do not have to clear US Customs procedures before arriving in the FTZ. The full instructive guide to FTZs for captains and crew will be featured in TCR 87.